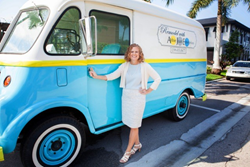 In an age where artificial intelligence and automation are at the forefront, Abbie Sladick of Abbie Joan Fine Living takes an old-fashioned approach to delivering a better customer experience (CX). By being personally involved with each of our clients, my staff and I ensure that homeowners achieve their remodeling and lifestyle goals. 2017 might be considered the “year of automation,” but Abbie Joan Fine Living is bucking trends and approaching customer experience the old-fashioned way – with a personal touch. The Naples remodeling construction firm, which promises to re-imagine and remodel homes of exceptional quality, beautiful design, and fabulous functionality, specializes in customized solutions for the homeowner looking for an exceptional experience and an outstanding outcome. Improving customer experience is a priority for most business owners, and the method by which many businesses are trying to achieve better CX is through automation and artificial intelligence. According to the 11th annual Accenture Global Consumer Pulse Survey, however, "human interaction remains a vital component of customer satisfaction." Delivering a great experience doesn’t stop with clients. Sladick has formed a subcontractor board of advisors and meets with them over breakfast every six weeks. They discuss current and upcoming projects, facilitate networking, and plan for the upcoming season. In an age where customer experience is a determining factor in success, Sladick’s personal approach delights her clients, and it’s one reason why Abbie Joan Fine Living has consistently been recognized as a top remodeling firm, having been awarded a spot in the Big50 Class of 2015 and ranked as one of the Top 500 Remodelers. About Abbie Joan Fine Living: Since Abbie Joan Fine Living’s inception in 2000, they have worked hand in hand with clients to re-imagine and remodel homes of exceptional quality, beautiful design and fabulous functionality. Visit Abbie Joan Fine Living to learn more.